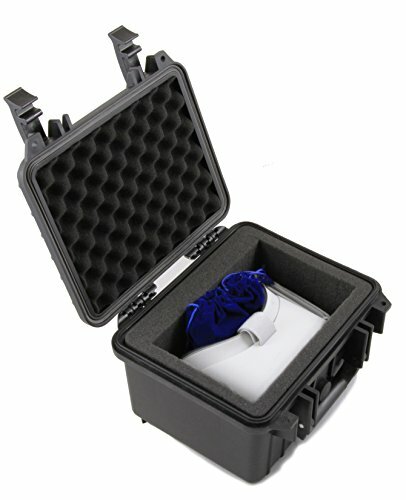 The CASEMATIX Rugged Oculus Goggles Case Protects your Oculus Go Headset during Travel and Storage; reliably store your Oculus Go VR Goggles in this custom foam case. The exterior of the Oculus Go Virtual Reality Headset holder measures 9.8" x 10.5" x 6.5"; with its built-in carry handle , dual locking latches and padlock security , this case is perfect for secure travel. It also comes with an air pressurization seal to create an airtight seal during transport.